48 bus. Photograph: Wikimedia Commons. Hackney bus passengers have reacted furiously to Transport for London’s (TfL) decision to no longer run the 48 bus from October. 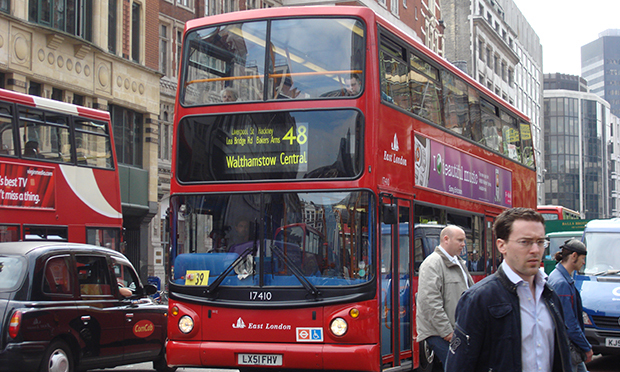 According to TfL, the proposals, which include an extension of the 55 to Walthamstow to try to make up for the loss, along with more frequent running of the 26 on Hackney Road, will save the cash-strapped operator over £2.5 million per year. However, 48 users expressed dismay at the plans on Monday, predicting the cuts will increase congestion in a borough already struggling to handle its traffic load. One 48 bus user, who did not want to be named, said: “I don’t know how they’ve come to the decision. Everyone who lives on Lea Bridge Road will be affected, especially kids travelling to primary and secondary school. “It reduces my options of how to get from Lea Bridge down to Hackney by half. “It’ll all become really congested, and bearing in mind Lea Bridge has been reduced to single lane traffic, that will surely mean anyone who will elect to drive rather than risk the reduced bus service will therefore increase traffic. TfL says travellers wishing to head to London Bridge will now have to walk 200 metres along Shoreditch High Street and change on to the 35, 47 or 149. Hackney Mayor Philip Glanville (Lab & Co-op), said: “The loss of the 48 is completely unacceptable and will mean cramped remaining services and worse travel conditions for our residents. “These are services that our poorest residents rely on. “But these changes are clearly a direct result of the Tory cuts to London’s transport system ─ TfL have lost their £700 million subsidy from central government. “London is now one of the only major cities in the world with a public transport service that is not subsidised by central government. Deputy Mayor Cllr Feryal Demirci (Lab, Hoxton East & Shoreditch), cabinet member for transport, added: “These changes, like cuts to the 242, are incredibly disappointing. Cllr Demirci went on to praise other #MyRouteMatters campaigners for pushing for a night bus between the Homerton Hospital and Tottenham Court Road for night-shift hospital staff. She added: “I am however really proud of our local Labour team for leading this vital campaign and speaking up for our residents who rely on their bus services every day. TfL used its consultation response to respond to concerns that areas of Hackney with worse public transport coverage are disproportionately impacted by the changes. It said: “Changes were made where we found excess capacity in central and inner London. We will continue to monitor where capacity is needed on the bus network in Hackney and will address this when required. “We are mitigating some of our proposals around Hackney. We are revising route 388 to replace some of the broken links resulting from route 48 no longer running, and to ensure interchange at the same stop for customers east of Hackney to and from the Liverpool Street and London Bridge areas. “We will also increase the frequency of route 26, as described in the consultation. Residents, union members and councillors have been expressing their opposition to the cuts for months. According to Geoff Hobbs, director of public service planning for TfL, the network operates without a “single penny of public subsidy”, and bus usage in the borough has dropped by 10 per cent over the last three years. Speaking at a 22 October 2018 council meeting, Hobbs added: “There’s been a large transfer to walking and cycling, and the railways in this neck of the woods have got markedly better over the course of the last few years and people are choosing to use them a bit more. “The reason for that is that we’re running more buses than you need for the level of demand on that corridor, and we’re not expecting that demand to flow back any time soon. “There’s some reduction in the volume of trips as well. Part of that is Uber, and people also prefer to stay at home more than they used to for all sorts of reasons. “Deliveries can be made at home more readily than a decade ago, and there are things to do at home that one can only dream about.